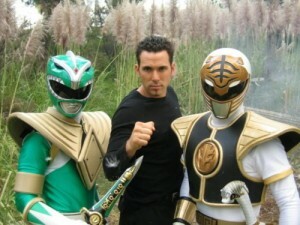 Baltimore, MD (June 12, 2013) – Otakon Vegas is proud to announce our first guest, Jason David Frank. Best known for his role as Tommy Oliver in the long-running TV show Power Rangers, Jason morphed into a series of different rangers over the years: Mighty Morphin Green and White, Red Zeo, Red Turbo, and then returned in 2004 as the Black Dino Thunder Ranger. All in all, ‘Tommy’ appeared in more episodes than any other character, 225 in total, and appeared in both full- length movies, Mighty Morphin Power Rangers The Movie (1995) and Turbo (1997). A highly accomplished and respected martial artist with 34 years experience, Kyoshi Frank currently holds a seventh degree black belt in American Karate and a purple belt in Brazilian Jiu Jitsu. He is the owner/operator of Rising Sun Karate and MMA. Beginning his full contact career in 2006, Jason won the prestigious “Ruff Man” Grand Champion title in Indiana and the gold medal in Master Toddy’s Full Contact Muay Thai competition in Las Vegas. In 2010, Kyoshi began his amateur MMA career with a 4-0 record and then in August won his first pro bout. Always an actor at heart, Jason has taken on several small and big screen roles with his most recent being The One Warrior—an action/fantasy film which also stars James Russo and Dominic Keating. The movie is scheduled for release very soon. Otakon Vegas 2014 will be held January 3-5 at the Planet Hollywood Casino in Las Vegas, NV. ABOUT OTAKON VEGAS AND OTAKORP, INC.: Otakon Vegas is the first annual celebration of Japanese and East Asian popular culture presented by Otakorp in Las Vegas, Nevada. Otakon Vegas celebrates popular culture as a gateway to deeper understanding of Asian culture. Otakon Vegas is a ticket based convention sponsored by Otakorp, Inc., a Pennsylvania-based 501(c)3 educational non-profit whose mission is to promote the appreciation of Asian culture, primarily through its media and entertainment. Otakorp, Inc. is directed by an all-volunteer, unpaid staff – we are run by fans, for fans.